The mayor of a suburb in Montreal is calling for residents affected by a burst water main to file a claim with the city within 14 days. Some 10 homes were affected by the water main break in Pointe-Claire. “It is a big mess, and it is something we haven’t seen before at such a magnitude,” Pointe-Claire mayor John Belvedere told CBC News. While Belvedere said that residents have a right to claim, he has yet to mention what sort of compensation homeowners would be entitled to. He explained that it is a legal matter that would be sorted out between the municipality, residents, and insurers. The water main in question was an underground pipe about 35 centimetres in diameter. The burst occurred Wednesday, and, due to freezing temperatures, it took crews several hours before they could shut off the water flow. 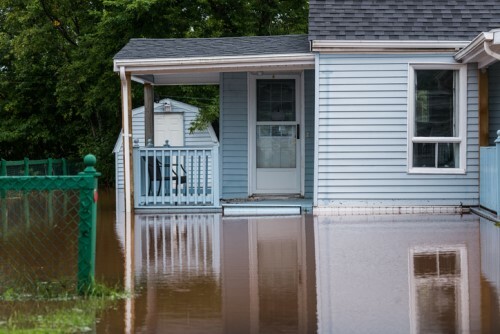 By then, homes near the leak experienced flooded-in basements and garages. Furniture and even electronics were also waterlogged – as much as two metres of water poured into homes.